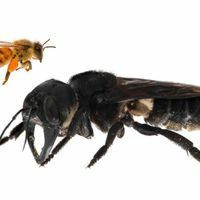 Honeybee workers can flip back and forth between two careers, thanks to a small number of reversible epigenetic changes. 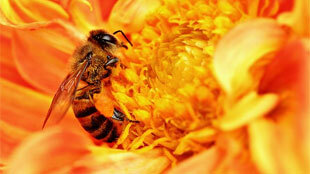 Researchers from the Johns Hopkins School of Medicine and Arizona State University showed that the switch from young nurse bees, which stay in the hive to care for grubs, to older travelling foragers involves a set of epigenetic marks that affect how a small number of genes are used. And if the foragers change back into nurses, the marks revert, too. The results, published today (September 16) in Nature Neuroscience, are the first to show that two patterns of behavior are associated with reversible epigenetic changes. 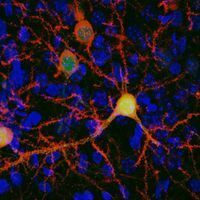 Brian Herb, a student in Andrew Feinberg’s lab at the Johns Hopkins School of Medicine, started by comparing one type of epigenetic change—DNA methylation—in the brains of five queens and five workers. Even though another research group had published 550 genes with methylation differences between these two castes, Herb found none. When Herb compared the methylation patterns of nurses and foragers, he found differences in 155 genes. These were largely involved in controlling the activity of other genes, packaging DNA into chromatin or cutting up RNA transcripts. “They look like genes that are regulating plasticity,” said Feinberg. Next, Florian Wolschin, a postdoc in Amdam’s lab, removed all the nurses from the team’s hives while the foragers were away. “The foragers come back and go, ‘Oh no, what happened?’ Half of them turn back into nurses,” said Feinberg. “Their bodies change a little bit and their behavior’s completely different.” Such reversals are rare in the wild, but they can happen when hives split up and old queens leave with young workers to found new colonies. The new queens inherit existing nests that are devoid of young nurses, and some old foragers revert roles to fill the employment gap. The team found that methylation patterns in 107 genes changed during the forager-to-nurse reversion, 57 of which overlapped with the nurse-to-forager set. 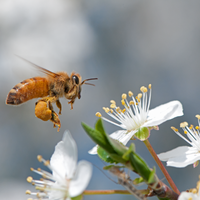 Although Sumner points out that the sample size is “scraping the statistical barrel,” the team did repeat their experiment with a fresh set of bees and found the methylation in 45 of the same 57 genes changed with both role switches. About half of the methylation changes seem to silence the genes they mark, and others change the way the RNA transcripts of other genes are spliced. “A nice mechanistic flow chart is emerging,” said Sumner. Environmental triggers lead to changes in methylation that influence how genes are expressed or processed, leading to changes in behavior. “This pretty much describes a behavioral genomicist’s dream!” she added. Sumner points out that the shift from nursing to foraging can happen over a matter of hours— a seemingly easy change despite the stark differences in behavior. She now wants to know if animals that show stronger shifts in behavior throughout their lives would have more dramatic epigenetic changes too. “At what point does behavioral reversibility become an irreversible unidirectional shift?” she wondered. 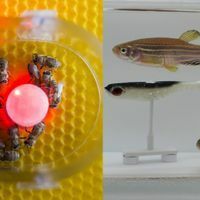 B. R. Herb et al., “Reversible switching between epigenetic states in honeybee behavioral subcastes,” Nature Neuroscience, doi:10.1038/nn.3218, 2012.